You’re in your twenties, you’re in the prime of your life, and the last thing you want to be worried about is when you will start to take on signs of aging. However, you are also keenly aware of the jowls and wrinkles that have developed on older friends or family members – and you want to avoid them. An effective way to do that may be an annual treatment with BOTOX® Cosmetic or other injectable rejuvenation options. BOTOX® Cosmetic and dermal fillers are non-surgical aesthetic enhancement techniques that can reduce signs of wrinkles and fine lines in the face – they can also work as a preventative measure against premature aging. Our board-certified dermatologist, Deborah H. Atkin, MD, can perform these treatments to help you stave off wrinkles, jowls, and other signs of age as long as possible. 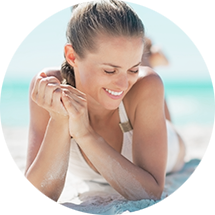 One treatment each year during your twenties may be just the trick to help you look youthful, vibrant, and refreshed for many years to come! 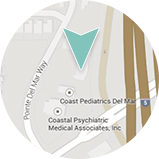 If you would like more information on our injectable treatments or other skin care techniques that can help you prevent early signs of age, please contact Dermatology & Laser of Del Mar today.